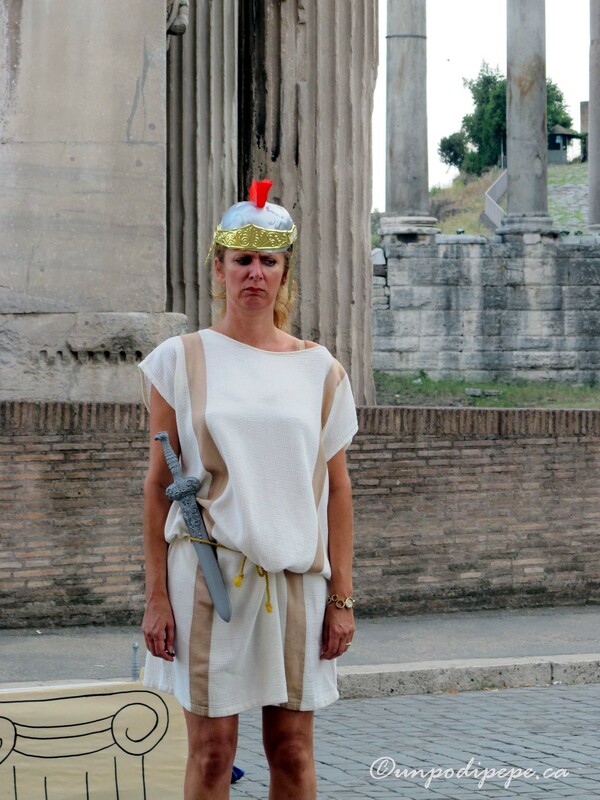 If Monty Python meets the history of the Roman Empire sounds appealing, you will love the Miracle Players. 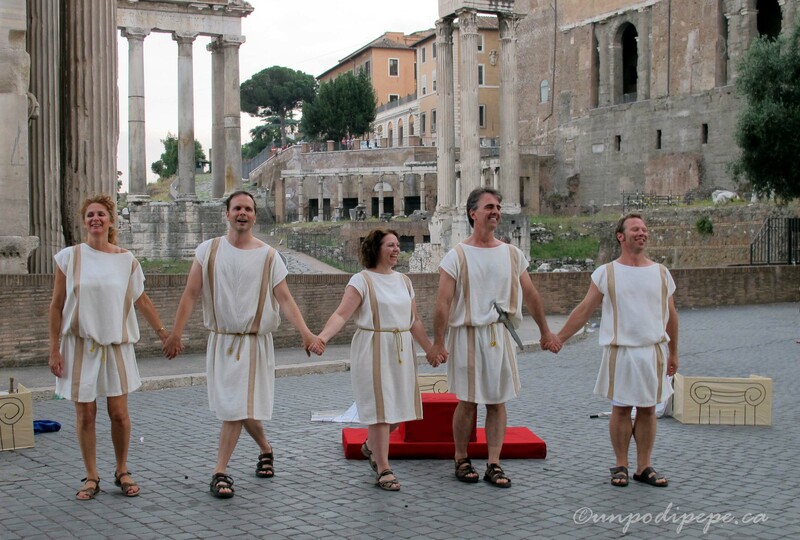 They are an English speaking theater group in Roma made up of expats from around the world. 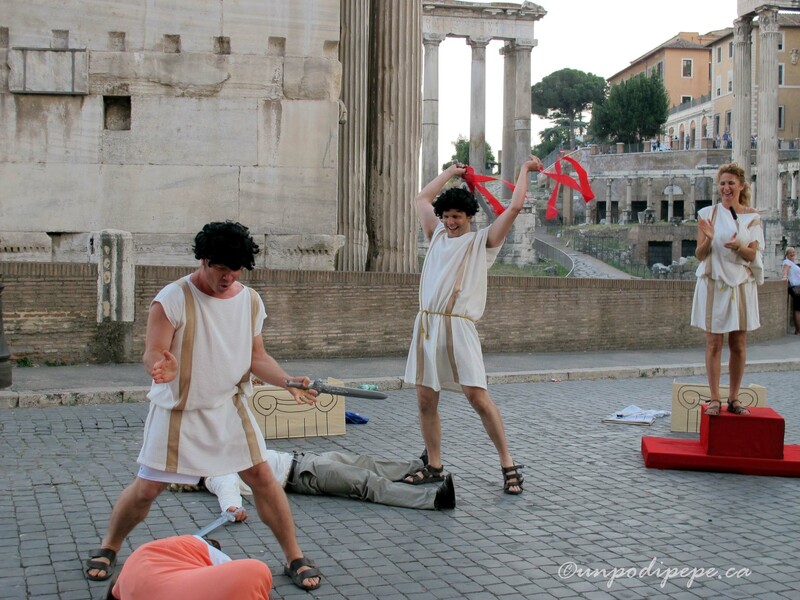 They perform hysterically historical original comic works at the Foro Romano (Roman Forum) each summer. Miracle Players performances feature volunteer swordfighters and high tech special effects! I have been to 3 of their performances; ‘Caesar-More than just a Salad’, ‘The Life of Michelangelo’, and ‘The Seven Kings of Rome’. 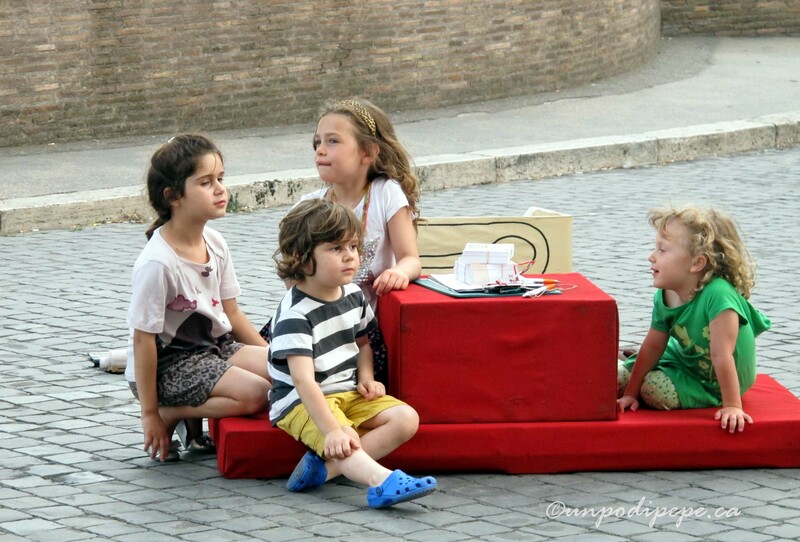 This year they are performing the rhyming ‘Rome in a Nutshell’. If you will be in Roma on a Friday between June 26 and July 31, check out the performance at 7:30pm sharp. It is free and no reservation required. Get there early to sit on the stairs of the church facing the action-Chiesa dei Santi Luca e Martina. Bring something to sit on if your culetto doesn’t like hard stairs or pavement. 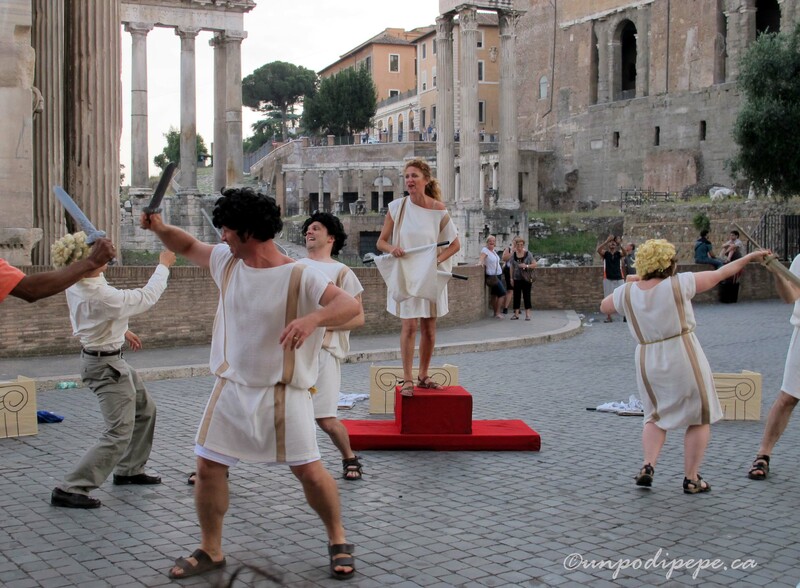 The performance is across from the Carcere Mamertino (Mamertine Prison) at the Roman Forum. This is below the Campidoglio and behind Il Vittoriano. The location is easy to get to. 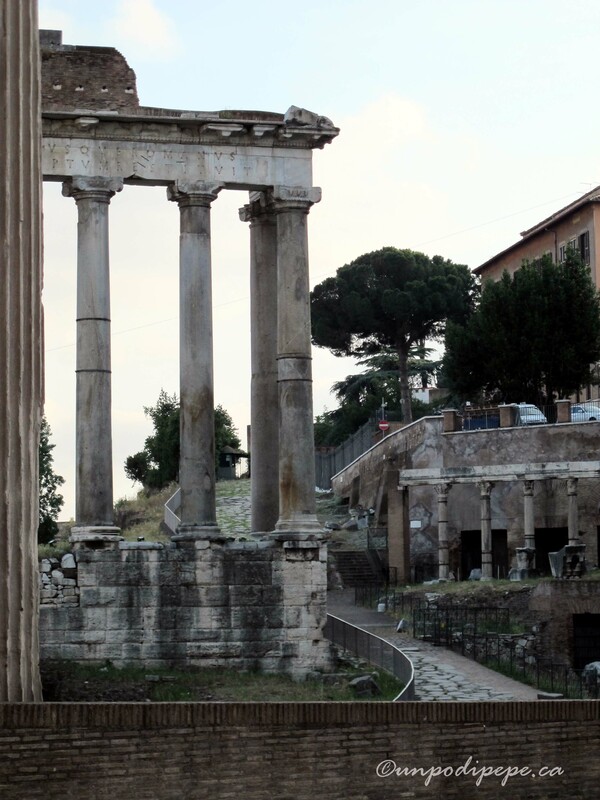 Take the Metro B blue line to Colosseo and walk down Via dei Fori Imperiali. There is a map on The Miracle Players website. The stage backdrop is the Roman Forum itself-how can you top that!